Is your office tired of outsourcing color print jobs? Pacific Office Automation has the answer for you. 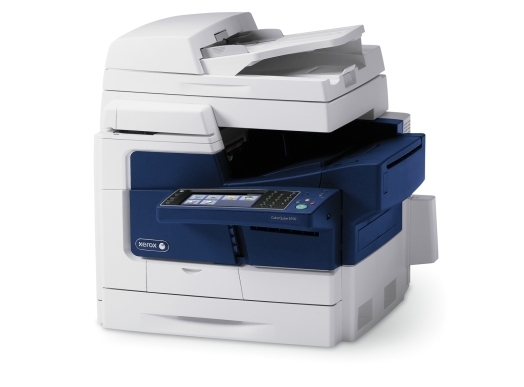 The Xerox Color Qube 8700MFP provides your workplace with vibrant color pictures, graphics, and documents without the stifling costs of outsourcing. Using new and convenient printing technology, this machine features cartridge-free ink which creates less printing waste than traditional laser printers. This Solid Ink technology gives your documents a rich, vivid appearance even on a wide range of media—including recycled paper. With the option of an up to 2400 FinePoint print resolution, your workplace can be assured that each copy will have exceptional quality and consistency unparalleled by other color multifunction printers in today’s market. Users can also use the color correction feature quickly and easily by selecting corrections from a simple drop-down list. The ColorQube8700 is not just an impressive color printer, however. Users can also work faster and more easily with capabilities like copying, scanning, emailing, and faxing that help digitize connectivity in the office. Clients should also note that this machine features a convenient stapler to further decrease your time spent printing, organizing, and grouping documents. All of these features are easily controlled using the full-color interface featured at the front of the machine. Large icons reduce user learning curve, keeping your whole office on the ball. As you put all your printed, scanned, and copied items through this system, you can rest assured knowing that Xerox’s advanced document security system keeps your information safe from unauthorized eyes. Encryption features keep data secure and security options are customizable by the user. With the ColorQube 8700, your office will love its newest win-win situation. 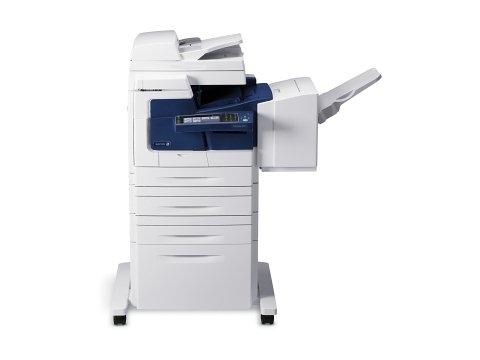 The ColorQube 8700 features Xerox-exclusive Solid Ink technology, which gives your documents rich, vibrant colors on a wide range of media, including recycled paper. With up to 2400 FinePoint™ print resolution, you’re assured exceptional print quality, with consistency you can count on page after page, year after productive year. PANTONE® calibrated solid-color simulations and exclusive Xerox color correction technology deliver results that always match your expectations. The ColorQube 8700 also includes the Color By Words feature, which makes color correction fast and easy, allowing you to select desired color modifications from a simple drop-down list. Work faster and more easily with capabilities that improve the way you create and share office documents. The ColorQube 8700 also helps you save money and precious office space by combining printing, copying, scanning, emailing and faxing (8700X and XF configurations only), plus a standard convenience stapler, into one powerful desktop device.